There are very few things better than free music, especially when combining rising talent and artist discovery. 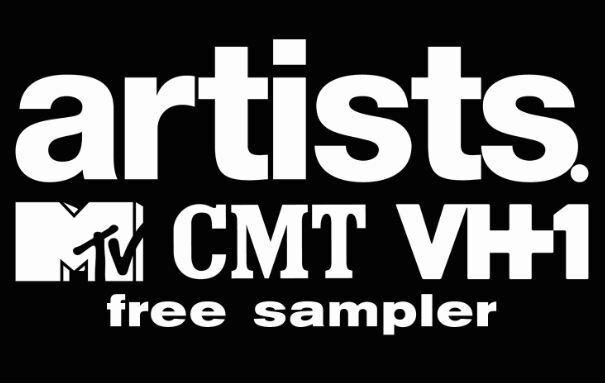 The Artists.MTV 15-track sampler features songs from a heap of talented artists that you should know: Everest, The Bronx, Alabama Shakes, Allen Stone, Jim James, Two Gallants, Stars, Alberta Cross, Mother Mother, Paul Kelly, On the Fifty, Jenny O., Samantha Crain, Kate Earl and Kodaline. The Artists.MTV sampler is available now for free download on Amazon MP3. Artists.MTV is the first cross-brand digital platform for artists around the world to claim and control their artist expression across MTV, VH1 and CMT networks. An artist’s presence is fractured across the web on numerous sites. Artists.MTV.com gives fans the authentic voice of artists in one immersive platform, inviting fans to discover and explore their next favorite act. pockets. Visit online at http://www.mtv.com/artists/. ‘stache media is a full service marketing agency specialized in music. ‘stache media launched in 2009 as a stand-alone agency operating out of the NYC headquarters of RED, an award-winning division of Sony Music Entertainment. ‘stache media provides services in online marketing & publicity, college lifestyle marketing, advertising, social media & consumer research, brand & partnership marketing, radio, video promotion and creative production. ‘stache media has served a multitude of artists within the RED and Sony Music Entertainment fold. Outside clients have included C3 Presents (Lollapalooza), Gatorade, Ketel One, McCann Erickson, Punk.com and Sony Electronics. The indie rock four-piece, known as Asleep, will be releasing their new album Unpleasant Companionon February 7th. The album was recorded in four days to capture a live dynamic onto 16-track 2-inch analog tape with legendary Chicago engineer Steve Albini (Nirvana, Pixies, PJ Harvey, Page and Plant, Iggy Pop and the Stooges). The result was a raw and powerful rock sound that will put the listener right inside their live experience! Consisting of Todd Kaden (vocals/guitar), Jon Dean (guitar), Cory Snyder (bass/vocals), and Shawn Logan (drums/percussion), Asleep is a rock band with an experimental focus. They write pop songs that reflect a rusty optimism prevalent throughout their northeast Ohio surroundings. Their two previous releases, All These Things We’ll Never Need” recorded by Bill Korecky (Mushroomhead) and Between, Above, and Below produced by Mike Watts (As Tall As Lions, The Dear Hunter), received great reviews selling over 10,000 physical copies. Asleep has performed at SXSW 2010 & 2011, opened for Deftones, as well as sharing the stage with The Flaming Lips, Death Cab for Cutie, Sonic Youth and Kings of Leon at Blossom Music Center and Tower City Amphitheater in Cleveland, OH. Having toured the midwest, northeast and south various times, performing well over 300 shows since late 2006, Asleep is ready to take the world by storm with Unpleasant Companion. Unpleasant Companion is a summation of their musicianship, uniqueness and endurance. The first single “Hip To Deaf” showcases their raw sound and catchy beat, leaving you no choice but to move to the music. While “Deserted”, their second single, paints a picture with their thought-provoking lyrics, frequently reminiscent of Incubus’ Brandon Boyd. “The album’s central theme explores how we manage to stay so addictively connected yet simplistically separated from one another through the same digital loops in the current fabric of the information age” states Asleep. Asleep will release Unpleasant Companion on February 7th. Please go to http://www.facebook.com/Asleep for more updates.